The German progressive power metal band Ivanhoe was formed in 1986 released three albums between 1992 and 1998. Then their singer left and it took years to find an adequate replacement in Mischa Mang who played the role of Judas in the Jesus Christ Superstar musical. My first impression about their new album Walk In Mindfields was quite disappointing and to be honest, the opener and title track is quite a lame song. From the second song onwards, Ivanhoe seem to wake up and begin to rock as the progressive bands did about 15 to 20 years ago. There are real hard passages on Scared, Enemy or Who Will I Be where parallels to Fates Warning are obvious. On the midtempo songs, you find similarities to Psychotic Waltz. 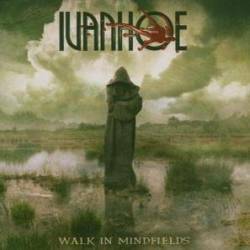 Ivanhoe's new album is excellent for people who grew up with Eighties progressive metal. Let's just hope for Ivanhoe that they now have a stable line-up.